No, not another foray into the world of collective nouns. More a surprised remark, with eyebrows raised. Over the past few weeks the sales of The Cat Kin: Cat’s Paw have really picked up. It’s important to get this to scale: ‘really picked up’ in the world of POD means ‘sold a few copies as opposed to none at all’. So I’m not seeing pound-signs but still, it’s heartening. One brave soul even bought two copies in one go. Thank you, whoever you are. It means that a few more people are now reading the near-mythical Cat Kin sequel (am I allowed to give it that status? The near-mythical sequel? I hope so, for I just did.) And thus striking a blow for… well, for me. Which is nice. And of course for pashki practitioners the world over. 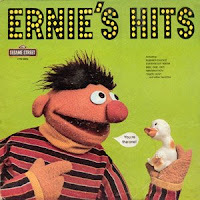 I don't know who wrote this (apart from Ernie) but as an anthem for a writer it's hard to beat. On a rocketship high in the air. But I don't think I'd like to live there. I don't want to live on the moon. I'd like to travel under the sea. I could meet all the fish everywhere. So I don't want to live under the sea. Go back and meet a dinosaur. But none of them permanently. And I'll wish I was home once again. 'Cause I don't want to live on the moon. No, I don't want to live on the moon. This blog is becoming rather like the Christmas diary I feared and predicted it would be. Those who praised it in its early days for the many gems of wisdom didn’t realise that those were gems which had been accumulating over some time, mostly during periods when I wasn’t writing a book and so had time and brain cells to kill. Since then, the decline of this blog has been pitiful to chart, petering out to the occasional posting when I have some self-promotion to do. However, one can take the lamentable inactivity of this blog as a good sign. If I’m not writing here, it means I’m writing elsewhere. Which I am (although not at this precise moment, I admit). Yes, there is a new book in the pipeline, and the first draft is well under way. I am up to chapter 5, which experience tells me means that I have broken the back of this particular task, and it’s a live idea that I can see through to the end. It’s not a Cat Kin book (thank heaven) but an entirely new idea, and in many ways it feels like I’m writing my first novel again, with everything or nothing to play for. What I am enjoying is the fact that it is the book itself demanding to be written. The characters want to run on to the next page. I’m writing not because I have a contract or a deadline or hope of money at the end of it. I’m writing because, frankly, I have to. And that’s a good thing. The blog will just have to go hungry occasionally. Interesting bit of news. 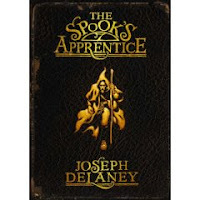 THE CAT KIN has been shortlisted for another award, also based in the north of England: the Sefton Super-Reads Book Award, which I believe last year was won by THE SPOOK’S APPRENTICE by Joseph Delaney, which is well known for being good. Looks like I may be getting on that northbound train twice in one month. p.s. Yesterday I also noticed (possibly as a result of this shortlisting) a small boost in THE CAT KIN’s Amazon sales. Now, when you’re ranked 200,000th or something, it only takes one purchase somewhere to bounce you up thousands of places; perhaps a cluster of ten or so sent my book soaring up to (wait for it) 13,000-somethingth. Or (to make it sound more impressive) I was now listed at number 17 – that’s right, 17 – in the children’s crime & thrillers category. Top 20, no less. Wow. And only one place behind the ex-SAS man Chris Ryan. Well, Chris, you may sell more books than me, but I bet I could take you in a fight. 13 February will ever after be Purrs Day. I surely have better things to do, but I was half-watching Casualty the other night. For Americans and other aliens, this is a ‘drama’ set in a hospital, sort of like ER on a tenth of the budget and a nanomole of the wit. I don’t even know who anyone is anymore, but that’s by the by. I was tired, is my excuse. Anyway. I watched this story that featured the usual medical calamities, and as usual it all ended in tears for someone. However, as the credits rolled, something got my goat – reached out and plucked it right out of the pen, ignoring its bleats of protest. Over the end credits, the announcer intoned, ‘If you have been affected by any of the issues in tonight’s programme, please call…’ and gave a helpline number. This is not the first time I’ve seen this, nor the only programme. I’ve seen this announcement (warning? disclaimer?) on everything from documentaries to soaps, and it is beginning to get, as I mention above, my goat. It seems that programme makers are suddenly terrified that they will be held responsible for a viewer being so ‘affected’ by one of their programmes that the viewer tops him/herself. Am I alone in finding this a) weirdly arrogant and b) insulting? We consume fiction (read it, hear it, watch it) in order to be affected, to be moved. If it makes us laugh or cry, we can say that it has done its job. But surely very, very rarely can it cause someone to become more depressed. If anything, the reverse ought to be true. Fiction provides comfort. It is itself a form of therapy; we don’t need added helplines. Fiction dares to touch those emotions that polite society would rather forget about: grief, anger and (yes) joy too. But now anything that threatens to provoke strong feelings has to come with a public health warning. Heaven forbid that we should actually feel something. Perhaps this explains the ghastly proliferation of ‘nothing’ programming on TV. Property shows, cookery shows, gardening shows, Lark Rise To Candleford. When you can look at the listings and say, quite literally, that there is nothing on TV tonight. At least we still have books! Perhaps one day they will have to carry stickers: Warning. Contains Feelings. THE CAT KIN has made the shortlist for the Bolton Children’s Book Award. There, I’ve said it! It’s quite a dizzying prospect, especially considering that for a long time I had resigned myself to the fact that the book would never be published. I have to confess I didn’t know much about the Award before (I didn’t know anything at all about it); but looking at a list of past winners, and at the current shortlist, I’m impressed and overwhelmed. I’ve actually heard of every single other shortlisted book, which is remarkable in itself for me (I don’t follow the industry as closely as perhaps I should). I don’t want to think too much about the award itself; I would rather be happy with the nomination alone. This is of course me trying to repress my violently competitive streak. But the fact is, books aren’t a competition. What does it matter to say that His Dark Materials is better than Harry Potter? Read both. We have time. A quick young reader could read the entire Bolton shortlist in a fortnight or less. But awards are undeniably great for raising books’ profiles, so they are definitely a Good Thing. I will be sure to enjoy the award event itself – I can never say no to a free meal and hotel accommodation. More to the point, Bolton is ‘up north’ and isn’t too far from Preston, where my Mum lives and where I used to spend most of my school holidays (not as grim as it sounds… Preston is nice!). So I’ll definitely be glad to ride the train back to that part of the country, which I think of as a second (third? fourth?) home. So that’s my news at the moment. I doubt there will be anything of interest to report on this subject till June, other than my increasingly frayed nerves. It only remains to be said: Faber and Faber, are you STILL resolved not to publish the sequel to THE CAT KIN? I’m toying with a new theory about heroes. It’s really more from the Eng. Lit. student side of me than the writer side, but I reckon there’s something in it. I set to wondering about the Achilles Heel. The tragic flaw of the hero that either brings about their downfall or makes life very difficult for them. With Superman it’s kryptonite; with Scarlett O’Hara it’s her futile love for Ashley Wilkes; with Achilles it’s his heel. (Or is it? More on that soon). My theory, or proto-theory, is that the hero’s apparent main weakness is actually the source of all their strength. Rather than the thing that hinders them, it is actually what drives them to do what they do. Without their flaw, in other words, they might survive, but they wouldn’t be heroes. Let’s start really highbrow: Superman. 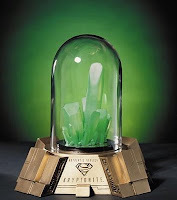 His weakness is kryptonite. No it isn’t. It’s not a specific enough weakness; I’m vulnerable to knives and large planks of wood, but they don’t qualify as my Achilles heel. No, Superman’s big weakness (as General Zod points out in Superman 2) is that he cares. He cares about humans. So he can be manipulated by anyone who doesn’t care, and who would kill or hurt them to get at Superman. Kal-El’s weakness is precisely what makes him Superman as opposed to just a very strong man who can fly. Achilles’s Achilles heel is not Achilles’ heel. Try saying that fast after a bottle of retsina. Again, like kryptonite, it’s superficial. In the Iliad, what finally gets to Achilles is the death of Patroclus. He can face any hardship or indignity, but not the grief of losing his best friend/lover. That’s what finally motivates him to get medieval (or should that be pre-Classical?) on the Trojans and whup Hector good. And it also leaves him vulnerable to Paris, who shoots only his ‘apparent’ Achilles heel: his heel. And in Gone With The Wind, which I’m reading now, the one thing that keeps Scarlett going through grinding hardship is the very thing that makes her so foolish: her futile, selfish, doomed love for Ashley Wilkes. But she ends up being ‘heroic’ countless times as a result of this very unheroic passion. I think there’s something in this. The best heroes have one major central flaw; and that flaw is what drives their heroism. But my essay-writing days are over, so I’m just content to float the idea for now… with all its flaws. I am the author of THE CAT KIN, a novel for children published by Strident and the first of a trilogy in progress. More books to follow.